Many of the 3rd class pupils are avid readers of the Harry Potter series; Aimee has written this excellent piece entitled "Nimbus 2000" which is inspired by the series. 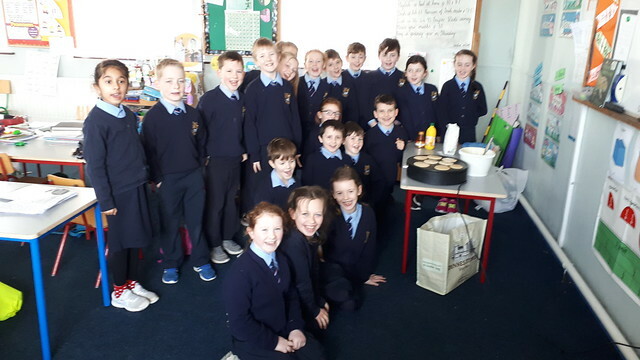 Pupils in 2nd class made pancakes as part of a lesson in writing genre (procedural writing) and science (materials and change). I was havin’ a puck with Mick when our fathers came out and said, ‘that we had to come inside now’. When I asked why, he said that Big Jim Larkin was having a meeting outside the GPO and that we were to stay put until it was over. The GPO was only one street away and the crowds were already spilling onto the streets. So, when our fathers left ,it wasn’t very hard to slip away and follow them,each of us wondering what was going to happen. There were thousands of people turned up but as far as I could see we were the only children present. Jim was the most confident man that I had ever come across.He talked with such ease and enthusiasm that I could have listened to him forever. Everybody was drawn in by his elegant posture and clothes and he wasn’t a scrawny man either. He moved as if he could hold his own in a fist-fight and I believe he could too. When Jim had finished his speech, he pointed at us and said,’Look at these young lads here. They have come out here with such curiosity, enthusiasm and daring’. Much to our surprise, he called us up and shook our hands. Then he told us to run home as fast as we could. It's a good thing we did too because as soon as we turned the corner we could hear the beefeaters closing on the scene. Dad came home talking about two youngsters shaking hands with Big Jim himself! Little did he know. When I shook Jim’s hand, his black leather glove came off.I looked up at him and he winked.Written on the inside were the initials ‘J.L.’ I’ve often told the story of the meeting but nobody believes me until I produce the black glove. I still have to this day. 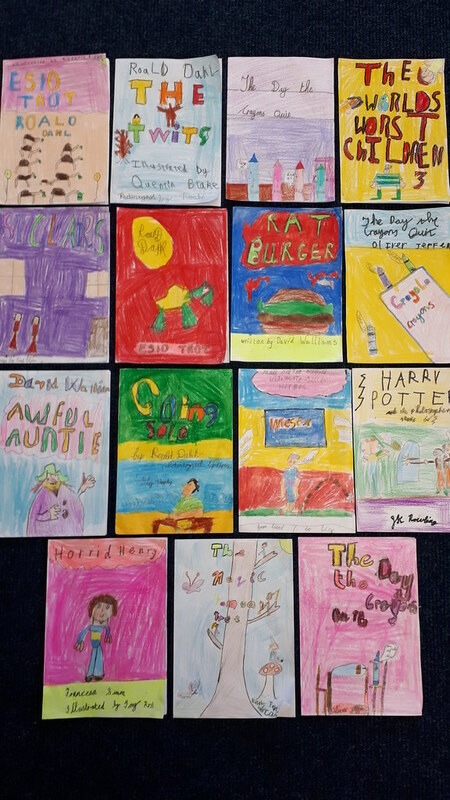 Pupils in second class redesigned the covers of their favourite books as part of our World Book Day celebrations on March 7th. Here are some of their designs. 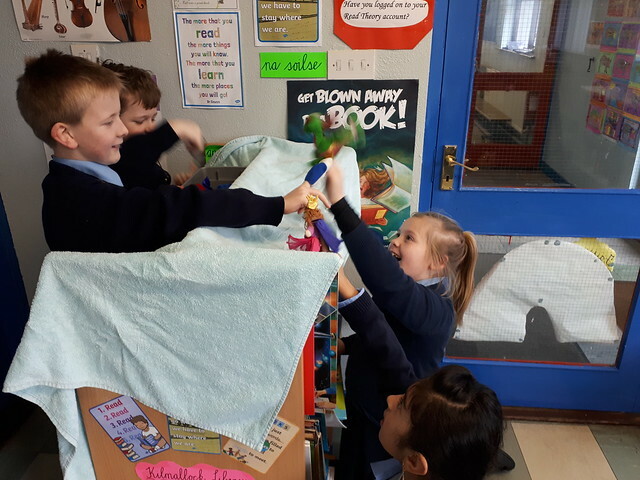 As part of their daily Aistear time these children created an underwater scene and used imaginative and language play throughout. Poem for the Limerick Hurlers!